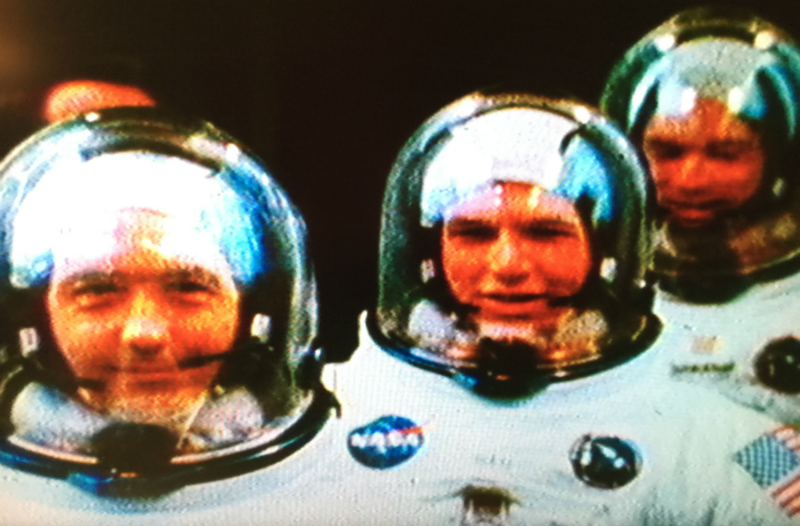 A human look at the three astronauts on NASA’s Apollo 9 mission: Jim McDivitt, Dave Scott and Rusty Schweickart. The three-man crew performed a number of firsts in space: the first manned flight of a lunar module (Spider), the first docking of a two-manned spacecraft with a command module (Gumdrop), and extraction of a lunar module. There’s also a two-man spacewalk. Their tests proved Spider, the lunar module, was worthy of manned spaceflight. This introspective view of the astronauts sticks with them before, during and after their earth orbital mission. We see the training, launch, and rendezvous of the command module, and the return and recovery of the crew. Anne Gilbert, the film’s editor, was captivated by the images of the bobbing heads of the astronauts in their space suits and bubble helmets. She used the images to open the film and suggested what she thought would be perfect music to use: the Beatles’ classic, “Yellow Submarine.” The music gives this short film, made for NASA, a playful, buoyant quality.